September 6, 2018 4:10 pm. Queensland mare Houtzen will clash with boom sprinter Nature Strip in the McEwen Stakes. Jockey Ryan Maloney is counting on the bombproof racing manners of Houtzen to bring about the downfall of Nature Strip at Moonee Valley. 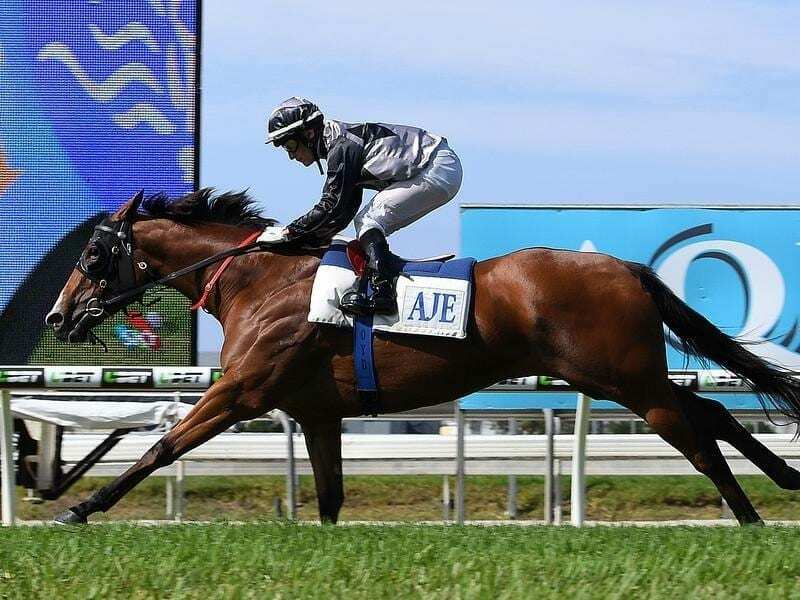 Nature Strip, shooting for a slot in next month’s $13 million Everest, is the $1.50 favourite to claim the Group Two McEwen Stakes with Houtzen an $8 chance. Maloney has always rated Nature Strip as a quality racehorse because of his galloping action and attitude. But he says he the boom sprinter will be vulnerable on the tight Moonee Valley circuit even though he scored a 5-1/2 length win at the track at his third race start. He says Houtzen will give her all and if she is ahead of Nature Strip she will be hard to run down. “The best thing with her is she’s won at the track, she gets around the track and she’s very easy to ride,” Maloney said. “Nature Strip, when I won on him there, he didn’t get around the corner too well where she can rail like a greyhound. “You can also use her in the first furlong and she’ll come back underneath you whereas (Nature Strip), you can’t give him a dig, otherwise he’ll over-race. Since moving to the Gold Coast and linking with Houtzen’s trainer Toby Edmonds, Maloney has ridden 15 winners from 40 rides and is loving the lifestyle. He partnered Houtzen in a recent Gold Coast barrier trial and travelled to Melbourne to put the filly through her paces in a jump-out at Caulfield last week. “She trialled well at the Gold Coast and the beauty with her is she puts 110 per cent into everything she does,” Maloney said. Max Wilson Tyres And Bat.